Real estate in Mexico is a great investment both financially and in terms of leisure time and/or retirement options. Puerto Vallarta is a great place to consider buying, too, as it has a large ex-pat community, great amenities, wonderful year-round sunshine, and endless miles of golden sand beaches. Retirees and snowbirds alike flock here for the world-class medical care, unique culture, wonderful cuisine, and stunning natural beauty that is on offer. If you’re going to invest anywhere it might as well be Puerto Vallarta! The actual process of buying abroad, however, can be daunting to some people as it’s so different to everything they’re used to in the USA or Canada. If you’re one such person then you can rest easy; we have advice for you and top recommendations for Puerto Vallarta real estate. The first thing we would say is this; do not try to ‘go it alone’. Find and employ a reputable realtor ASAP, and be sure to check that they’re a member of A.M.P.I (this is the Mexican association for professional realtors) and that they can provide good references. You should also ask them the following questions to ensure that you’re getting the real deal and that they are qualified to help you find the best Puerto Vallarta real estate. ● What were your reasons for moving to Puerto Vallarta? ● How long have you been in the real estate business in Puerto Vallarta? ● Give me five reasons why I should work with you over other companies in the area? ● How do you work? ● Do you own real estate in Puerto Vallarta? If so, when did your purchase? All are relevant to making sure they have the right experience and qualifications, but the last is essential in a more unique way. 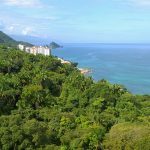 You see if your realtor owns property, or has previously owned property, in Puerto Vallarta you can be sure that they know the area inside out and can give you really solid advice. This could be about which area to buy in, or even just about what amenities and facilities you have in reach of certain homes. Buying abroad can be terrifying when you do it alone, but it needn’t be; a good realtor can make it quick and easy for you.